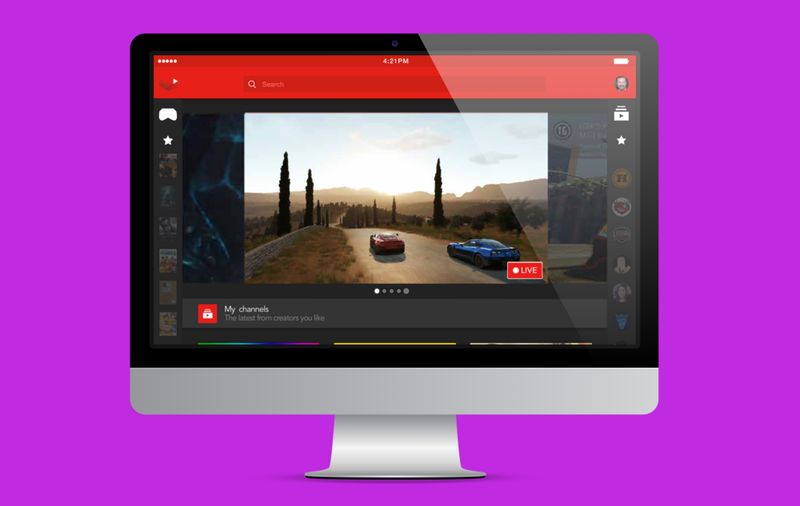 Youtube Gaming is a place to connect to a world of gamers with the broadest mix of games, videos, and live streams all in one place. Our team was given the task to create the branding for the Youtube Gaming site, in a fun and appealing way. I was lead UX production designer for this project. I put together graphical user interface, and set up screen sequences for the short video on the apple app store. The colors below are the ones used in the project. In the end this project was pretty fun. Here are some insights I walked away with. Organizing my files WAS crucial. Flies were often shared in this project. While mine were nice and tidy, others were not...arrgh. Sloppy files are like a slow death. Designing based on intuition is probably the best way to work fast. In this case we had a defined end result already so intuitive designing was really freeing.